It can be hard to find the perfect balance of using technology and living unplugged while you’re traveling. All of these amazing gadgets exist that give you the power to capture every moment of your adventures, and you can find WiFi in almost any corner of the globe. However, do you know when to put the phone away and just live in the moment? Don’t get me wrong; I’m all for technology. It’s revolutionized the way that we travel. With a phone, camera, or other device of your choosing, you have endless abilities. You can take photos and videos that are so high-quality and immersive any viewer feels like they’re seeing the sights with you. You can maintain contact with anyone around the world, whether that be friends from home or others you’ve met on your journey. You can get directions and recommendations for what to see, what to do, where to go, at any time. Even more so, technology allows us to be safe and responsible travelers even on our own. For those who travel solo, having a phone means you can contact people when in need, figure out what areas to avoid, or find your path if you’re lost. Along with all of this, technology allows you to cross a language barrier. Whether you need help contacting emergency services or reading a map or sign, translation is available at our fingertips. And of course, this feature doesn’t only help us in worrying or dangerous times. This ability to transcend language differences means that we can connect with any and everyone we meet along our journeys. 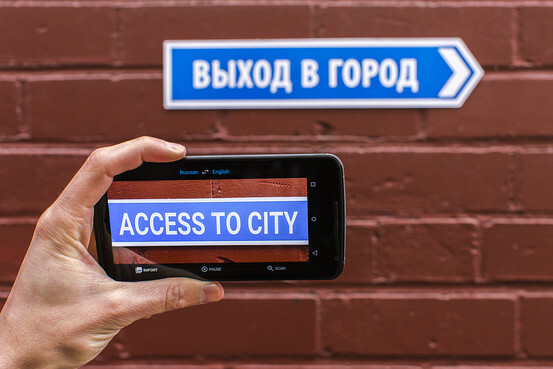 You can have conversations, written or verbal, with someone of any tongue using apps even as basic as Google Translate. This is incredible progress and can truly help bring together different people, people who you may not have ever had the ability to understand before. All of that said, it’s good to take a break from your phone. Take out your headphones and listen to the local sounds of chit-chatter. Close the Yelp app and follow your nose to whatever restaurant smells the best. If it’s safe to do so, turn your GPS off and let yourself get lost. You might discover something unique that you would have overlooked otherwise. Don’t just focus on getting to your destination; make sure to take a look at everything you pass along the way. And of course, the camera. I love to take pictures and videos of everything I do, because I always worry that one day I won’t remember it. It’s a valid fear, but I realize that it takes away from my experience at times. The way that I’m trying to remedy this is only allowing one picture at each experience. Sometimes I follow this rule and sometimes I can’t stop myself, but at the end of the day, I don’t need 80 pictures of every beach I go to. I’d rather take one, if any, and really use my other senses: smell the ocean air, feel the wind on my face, dig my toes in the sand. I don’t need 80 pictures of every beach I go to. I’d rather take one, if any, and really use my other senses: smell the ocean air, feel the wind on my face, dig my toes in the sand. Technology isn’t bad, and it’s ok to use it. Just make sure that looking through the camera doesn’t keep you from seeing the world head on. Señor Ernesto’s farm sits at the top of a steep gravel road just outside of Piedras Gordas in rural Cocle. The walk up is nothing different from what we have seen so far, flanked by thick tropical forest, a few stout and brightly colored houses appearing every now and then. Most houses are one story, made of cement and plaster, and have a few hammocks and community members always decorating their porch. Señor Ernesto is waiting for us at the end of a dirt path at the crest of the hill. He sits at just above five foot three but is undoubtedly stronger than all of us put together. Winterline has partnered with an organization called ThinkImpact to cultivate social innovation in the Piedras Gordas community. As we’re all unskilled workers with very limited Spanish, labor is our best method of communication. The farmer my group will be working with is Señor Ernesto. He leads us up without words, and he’s trailed by around twelve dogs all ranging in color and size, as well as a few kittens. He invites us to sit on his porch, and starts speaking. He’s quiet but holds a heavy wisdom is his words. Through our translator Felix, begins to explain the history of his farm. It’s been a work in progress for the past five years, starting with a few plants and expanding into one of the largest and most impressive natural farms in this part of Panama. It serves three main purposes, one unspoken. It is most obviously a source of much community food production, and is one of the main sources of tourism for the rural and very out-of-the-way town. What became more clear to us in the week to follow was that the farm serves as a huge inspiration to other community members to work with permaculture and natural farming. Another farmer we spoke to, Señor Ornecimo, has worked on his own farm for seven years, and says that Ernesto’s farm still far surpasses him in size, production, and creativity. After the introduction, Señor Ernesto takes us into the center of the lower half of his farm. It’s split into two main sectors, with his home and animals sitting in the center. In addition to the array of dogs and cats we saw, Señor Ernesto has chickens, pigs, and ducks. They are mostly free range, and occasionally pecked at our shoes as we headed down the hill into the farm. It’s about a ten minute walk along a windy and muddy path. We finally reach a gated area which separates into two paths, one leading to a natural gazebo made of canopy and several handcrafted wooden benches, and another which snakes deeper into tropical forest. It’s clear immediately to my group that this is not like any farm we have seen before. The land is not flat, clear, or organized. It’s impossible to separate natural growth from crops except for what’s been designated with signs, clearly put in for tourists like us. Señor Ernesto takes us further into the dark while we take in as much as we can. Along the way he shouts out the names of plants as they appear. Banana trees, orange trees, coffee plants, cacao trees, and this is only a small section of his farm. As we walk, we begin to see how it works. New trees and plants have been integrated nearly seamlessly into existing forest, with a few sectors popping up here and there. Some open chicken coops, toolshed, and a fertilizer shack. After a brief tour of the farm, we’re instructed to come back the next day with questions and ideas. We return the next day armed with curiosity. We’ve been sent to provide physical labor, but what we’ve truly come for is to learn. The farm is already incredibly impressive, but Señor Ernesto explains that he has far greater plans for it. We’ll be working on repairing trails and planting coffee sprouts, but he hopes that soon he’ll be building bunkhouses and bathrooms along the trails of the farm. When asked why, he describes his desire to make this a huge tourism hub in Piedras Gordas. The farm will one day be able to house up to twenty people in the bunkhouses, enough for school and other groups to come stay for up to two weeks at a time. In addition to being able to explore and potentially work on the farm, Señor Ernesto wants to install a zipline on another sector of his land, and has a large boulder that he thinks tourists could use for climbing. With so many things to do, Señor Ernesto will undoubtedly be bringing people into Piedras Gordas, but the dreams he has for the future of his farm all come back to one thing. Education. We ask why he wants so badly to bring new people in, and Señor Ernesto looks at us. He tells us that everything has has comes from the land, and because of that, everything he receives, he gives back. When he was first growing up in Piedras Gordas, he told us that all farmers cleared their land in order to farm. He felt the air become different from the lack of trees, and vowed never to cut down trees when he began to farm his own land. Now, he doesn’t cut down trees other than trimming branches, and he doesn’t import fertilizer. All fertilizer he makes himself using a composting toilet that a peace corps volunteer helped him install a few years back. In there, solid and liquid waste are separated, he mixes the solid waste with banana leaves and sawdust to make something better for the soil, and the urine becomes a natural pesticide. He also shows us to his other source of fertilizer, his large compost bins. He recycles all of his food waste, paper, cardboard, and cartons back into the soil. While recycling is very difficult in this community, he fights back by reusing all plastic and glass containers. In a place where people have no choice but to burn their trash, these steps are monumental in building a more sustainable life. Señor Ernesto tells us that since he has made these practices public, community members are making their own composting bins, reusing their plastics, and clearing less land. By bringing in tourists, Señor Ernesto believes that he will be able to not only show them the importance of natural building, permaculture, and sustainability, but prove that it is something anyone can do. Contrary to current belief, living an environmentally conscientious lifestyle does not have to be modern or expensive. Groups like us who come through his farm can see that it is achievable, and it is important. Over the next two days, we will help build trails and plant crops, but we’ll take away new perspectives. It doesn’t seem like a fair trade for what we’ve learned and the generosity we’ve been shown. ThinkImpact sent us here to cultivate social innovation, but it feels more like this has something which has been cultivated within us.